You can get stickers from us in three ways. 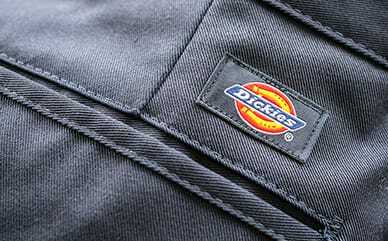 We ship free stickers with every Dickies.com order. If you did not get them with your order please fill out the contact form with your order number and we would be happy to send them out. You can also purchase stickers directly from our website.